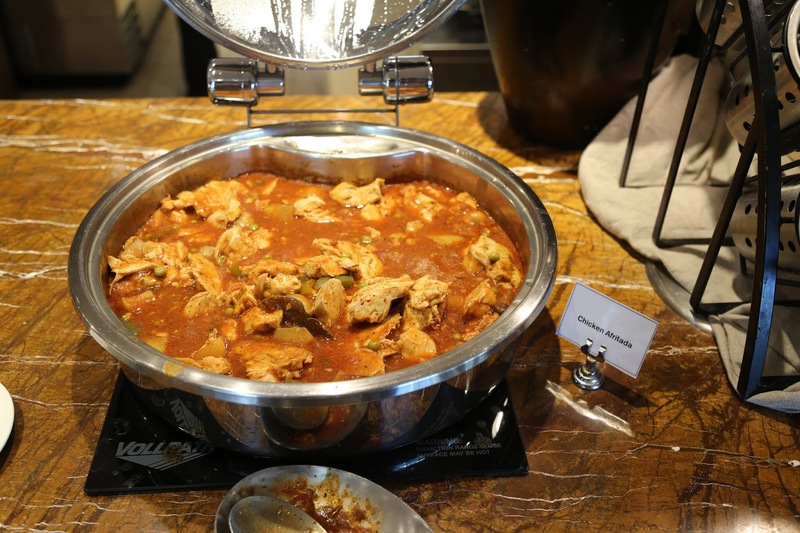 Another Bill W lounge review for you! Bill is a true road warrior, his work has him driving and flying across Western and Central Canada every week while staying in a variety hotels from a variety of chains. Bill has been reading, following and even giving Rewards Canada tips and updates for a very long time so let's welcome him back with this contribution! 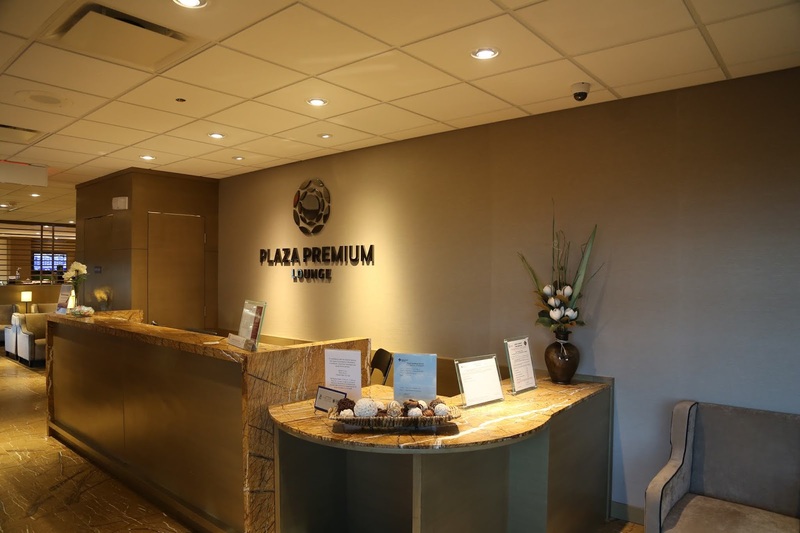 The Plaza Premium Lounge is located upstairs near Gate 52. There is a choice of stairs or an elevator to take you to the second floor. 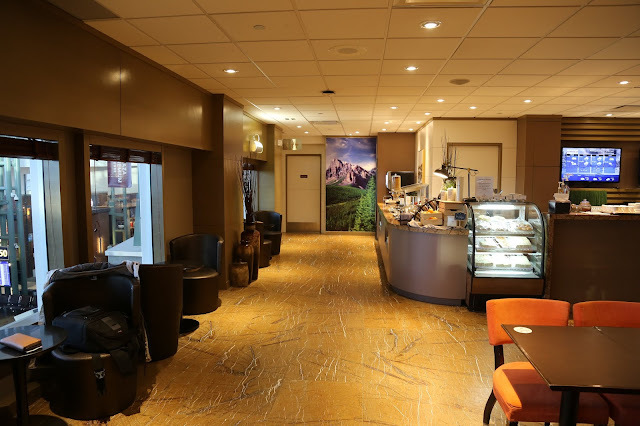 At the top of the stairs, turn right to access the lounge (Turning left will lead you to the Air Canada Maple Leaf Lounge). The entrance is open and inviting. 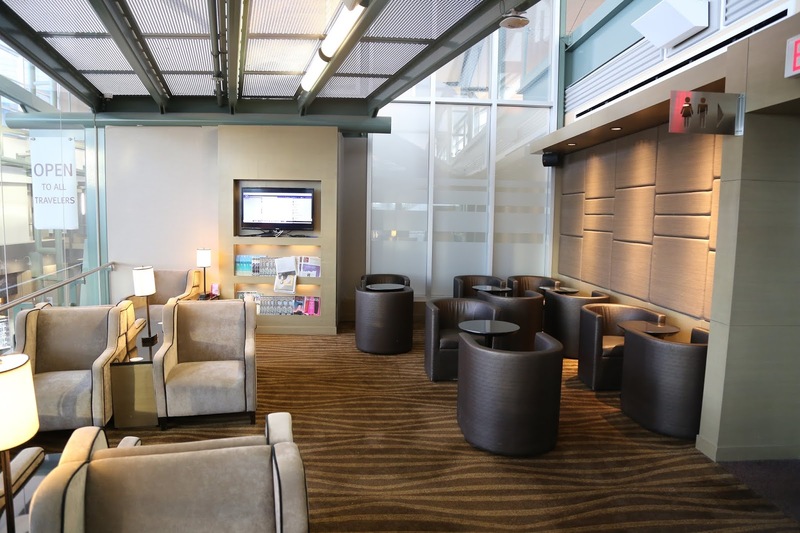 This lounge is open to all travellers regardless of which airline you are flying. 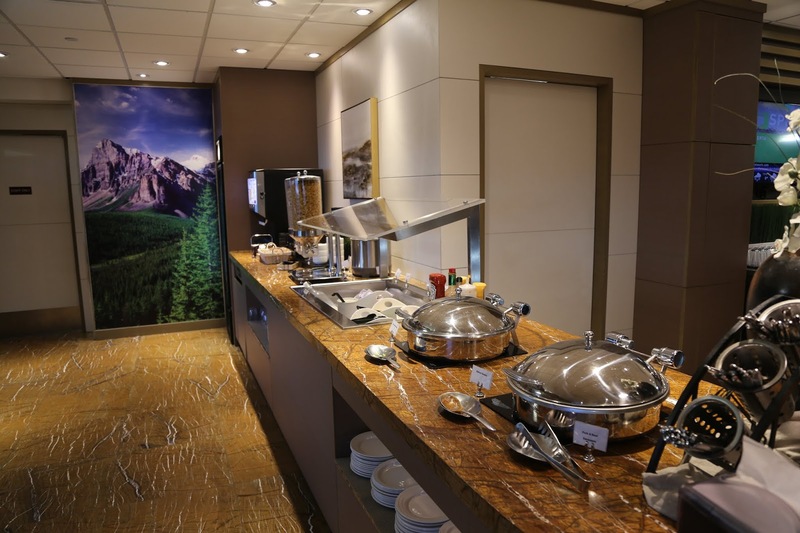 The charge to enter the lounge varies with the length of time you will be staying. 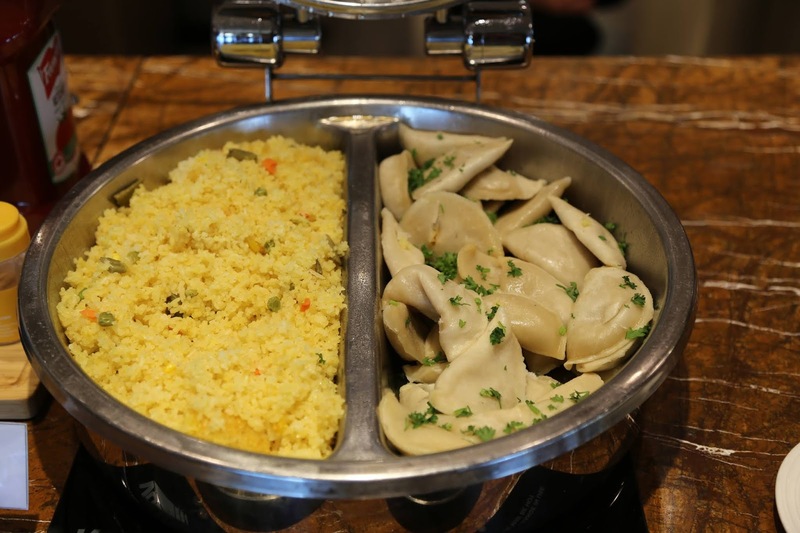 Cost per person is: 2 hours for $50.00, 3 hours for $60.00 and 6 hours for $80.00. You can also join Priority Pass for discounted Lounge access. They have 3 levels of membership that allow for different access privileges. Full information can be found on their website (link includes an exclusive Rewards Canada discount). 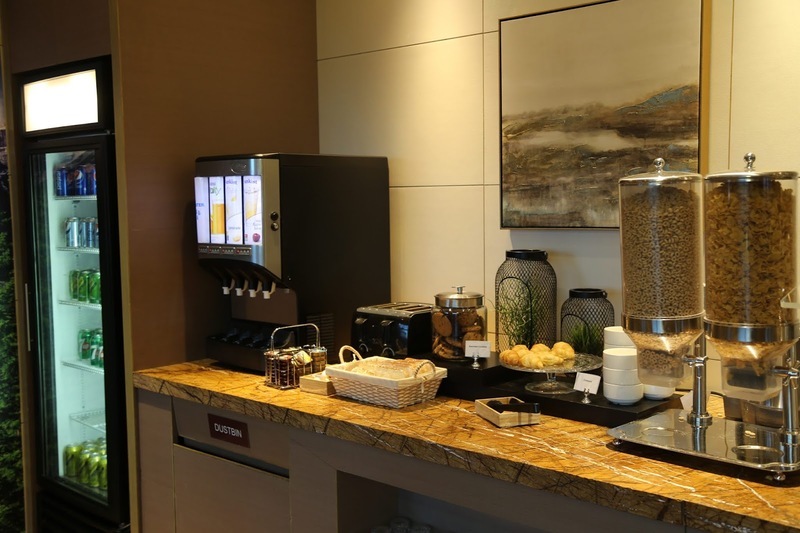 In addition, various AMEX cards come with complimentary Priority Pass membership, though these can carry a substantial annual fee. 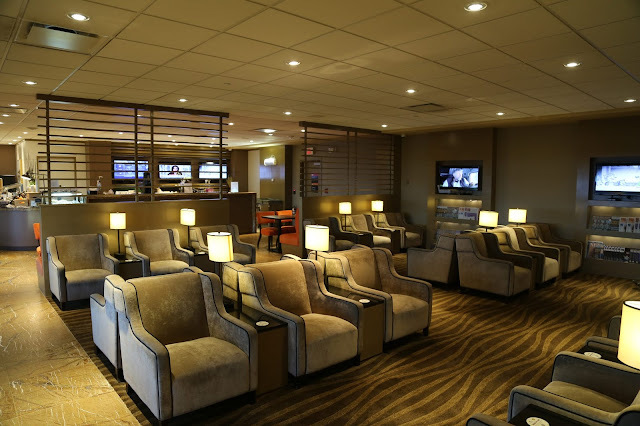 The AMEX Aeroplan Reserve Card includes a complimentary Priority Plus membership (as well as worldwide Air Canada Maple Leaf Lounge membership), with an annual fee of $899.00. The Platinum Card from American Express is another option which includes Priority Pass membership, the annual fee is $699. 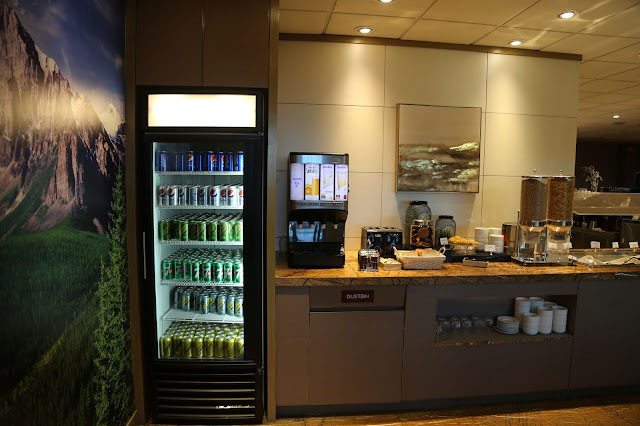 The Platinum Card has the Canadian Platinum Lounge benefit which grants complimentary access for the cardholder, spouse and two children under the age of 21, or one travel companion. Once inside, the initial seating area is open with lots of room to move around, the tables/chairs are spaced well apart. There is also additional seating at the back of the lounge past the food service area and turn left. 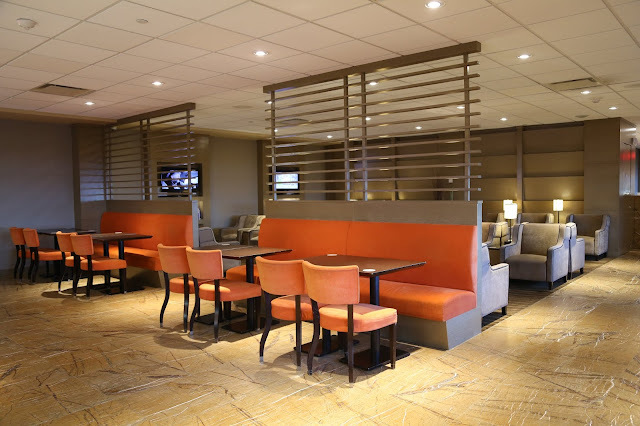 With a seating capacity of 80 spread over 4,500 square feet, finding a place to relax was quite easy. The selection of food is very good. 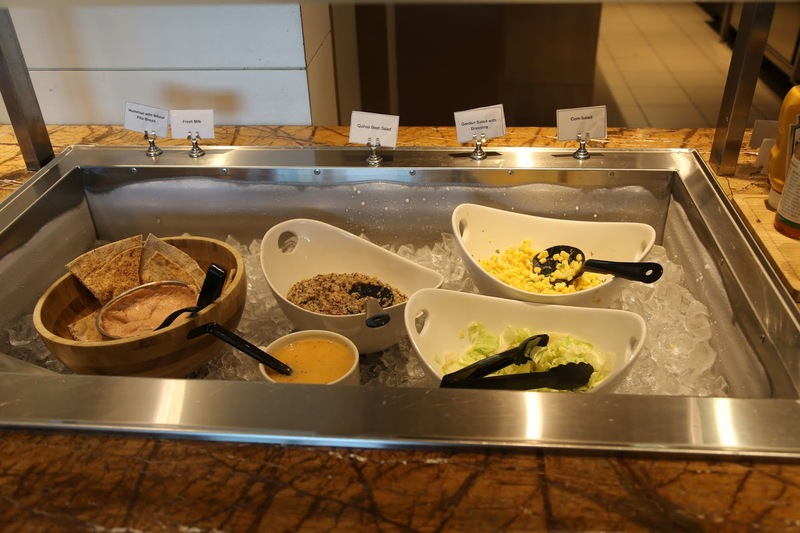 During the morning there is a selection of hot food including Scrambled Eggs, Baked Beans and Pork & Beef Sausages. 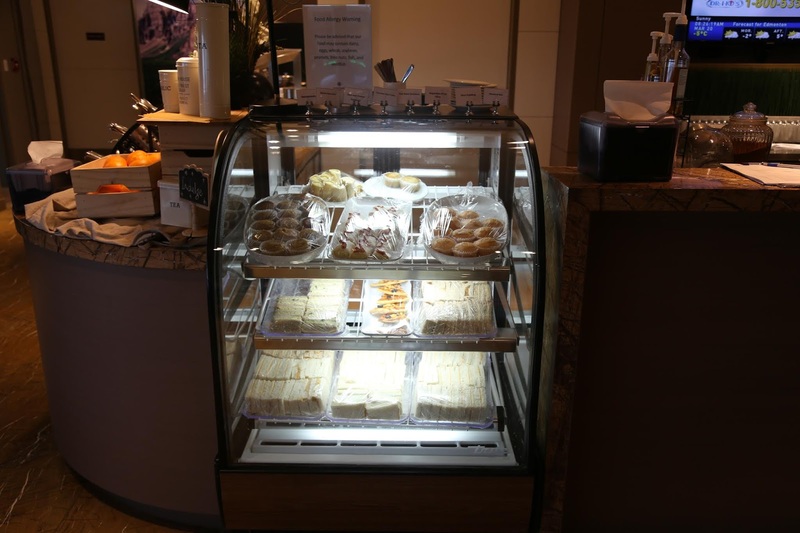 There is also an assortment of cereal, muffins, pastries, yogurt, sandwiches and toast. 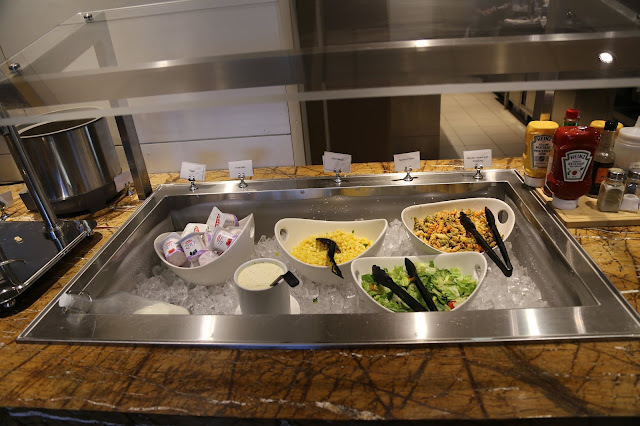 For those looking for something different for breakfast, they also offer Corn Salad, Spinach Pasta and Garden Salad. For the evening, the choices were Chicken Afritada, perogies and a rice medley. The Corn Salad and Garden Salad as previously mentioned are available along with a Quinoa Bean Salad and Hummus with Wheat Pita Bread. 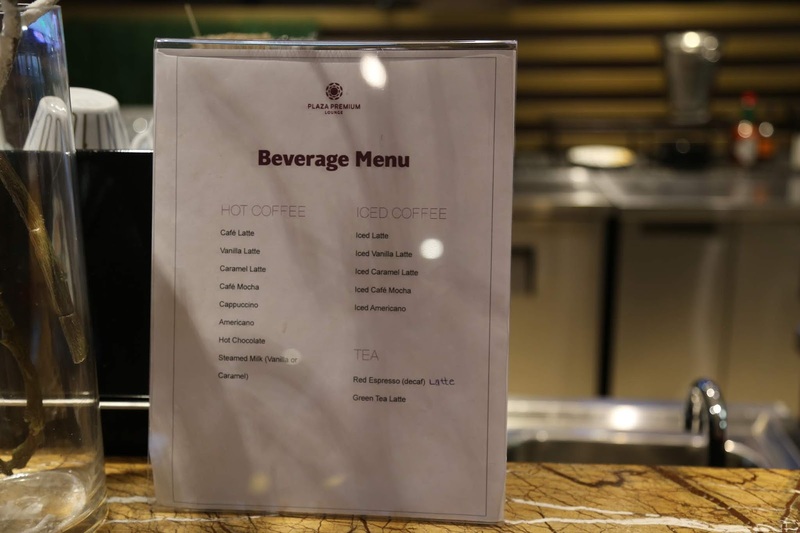 You also have a choice of hot beverages that they will make to order for you. These include various lattes (Café, Vanilla, Caramel…) along with iced coffees and assorted teas. And there is self-serve cooler filled with various flavors of Pepsi products. 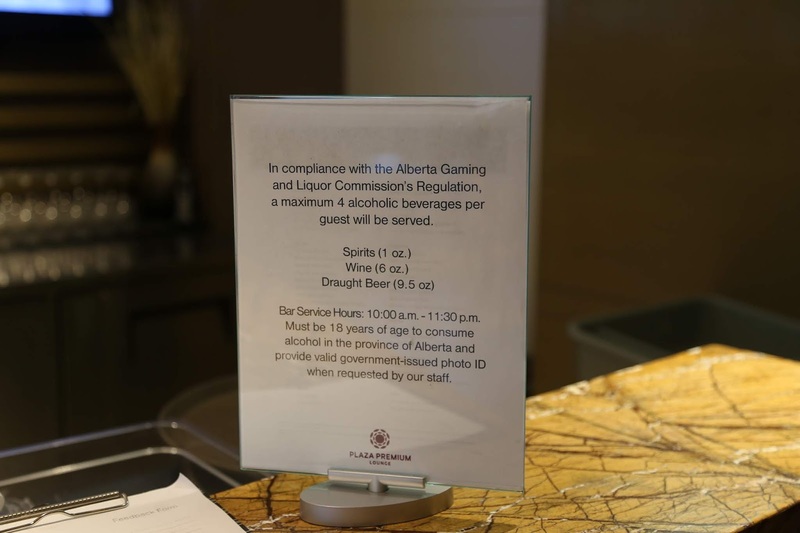 Alcohol is available from the bar after 10:00 am. There is a limit of 4 alcoholic beverages per person as per Alberta Gaming & Liquor Commission’s (AGLC) regulations. They have two local Craft Beers on tap along with wine and spirits. 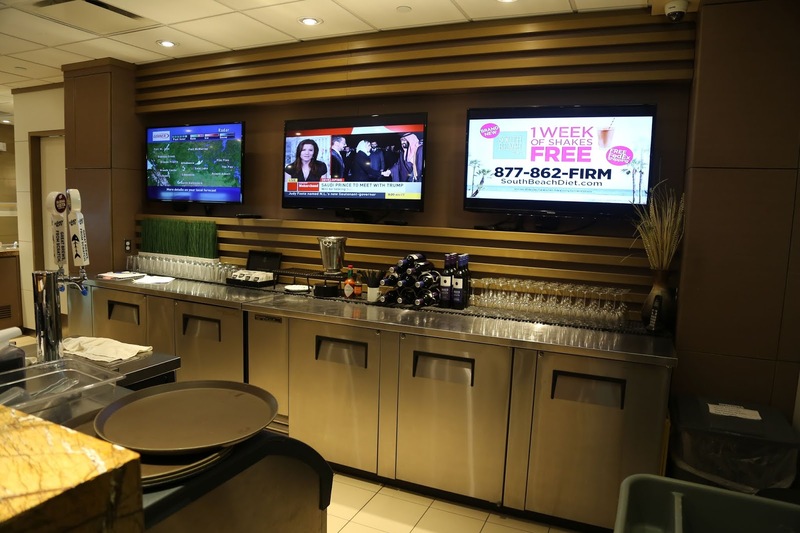 The bar area also has 4 TV’s behind it showing a variety of shows (usually News & Sports). The washrooms are located in the second seating area, past the business centre on the right. (Make sure you choose the correct door, the one at the very end is alarmed). 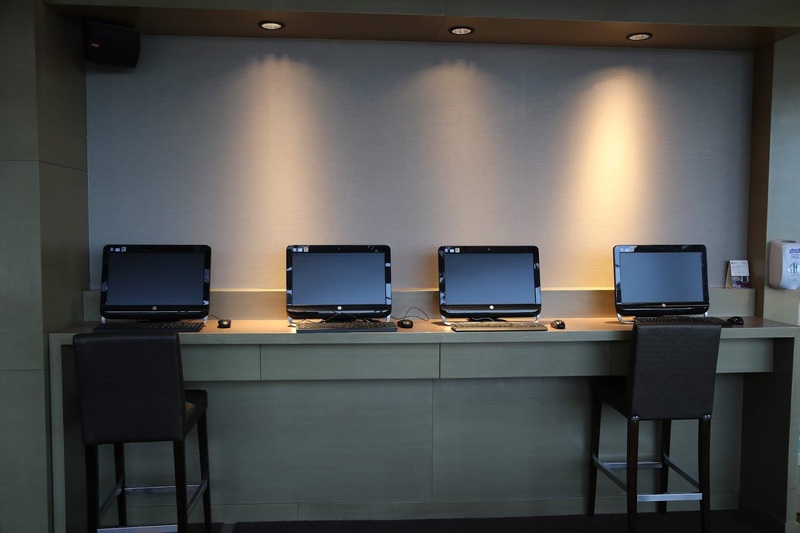 There is a Business Centre area available if you don’t wish to pull out your laptop. It is set-up on a counter space along the wall with 4 computers available. To the right of that is a selection of magazines to choose from. The overall atmosphere is very relaxing; it is nice to get away from the hustle and bustle of a busy airport. 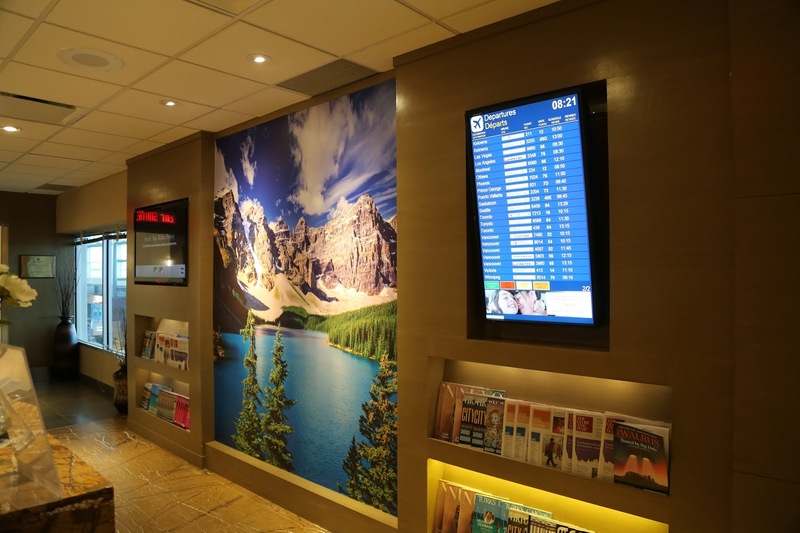 There are no boarding announcements made in the lounge, but a Departures screen is available near the front entrance and also in the back seating area. The lounge is tastefully decorated and have some local pictures that have been increased in size to make more of a feature wall. 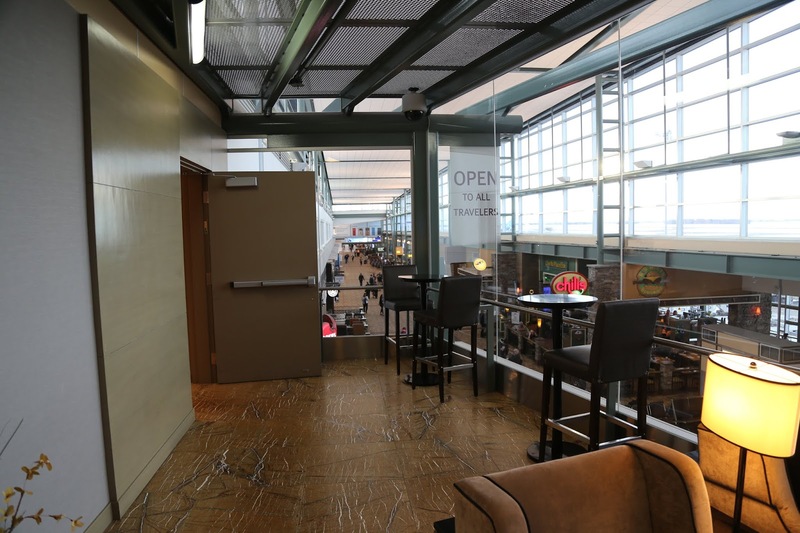 As the lounge is located on the second floor, it offers a lovely view of the terminal through the many windows that are available. 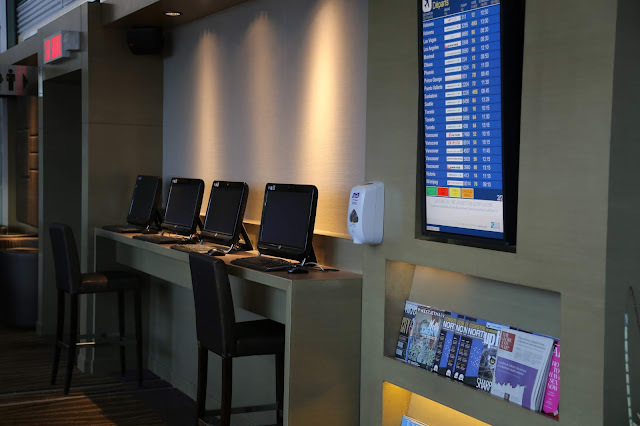 This allows you to see if the gate area is busy and also to appreciate why you are in the lounge and not having to wait at the gate for any extended period of time. I would recommend this lounge to anyone who is looking for a quiet place away from the hustle and bustle of a busy airport. It is very quiet and just a great place to relax before heading off on your next adventure. Have you visited this lounge? What do you think of it? What do you like and what do you think could be done better?